While writing an admonition of mixing oil and water yesterday, the US Coast Guard was searching for two missing workers after an explosion on an oil rig, 17 miles south of Grand Isle LA, owned by Black Elk Energy, a firm founded by a former BP executive. The executive’s name is John Hoffman, a long-term employee of Amoco, an oil company that merged with BP in 1998. BP spawned this company in the sense Hoffman learned the oil business in the corporate culture of BP from 1998 to 2006, when he resigned his position, according to a post by Ramon Antonio Vargas on The Times Picayune of New Orleans’ website. The oil platform caught fire Friday as workers were welding a surface pipe on the shallow water rig. Twenty-two workers were present when the blaze began and nine were airlifted to nearby hospitals, four with second and third degree burns. The two men were missing as three helicopter crews, plus a Coast Guard cutter and a fixed-wing aircraft crew searched a 1,400 square-mile zone around the platform, until 5.25 pm Saturday. Fortunately the rig was not producing any oil or natural gas at the time, so in this incident nothing was spilled into the Gulf of Mexico. Still, it is disconcerting when this event occurred one day after BP agreed to pay 4.5 billion in penalties for its role in the Deepwater Horizon oil spill, that according to Reuters dumped 4.9 million barrels of oil into the water off Louisiana. "They were not actively drilling," said Coast Guard spokesman Glenn Sanchez. "They were cutting a pipe or doing some type of maintenance that may have resulted in the explosion and fire." The platform is in water only 56 feet deep, but many of the company’s 88 oil and gas leases in the Gulf are at depths of up to 6,000 ft. The Bureau of Safety and Environmental Enforcement (BSEE), in charge of offshore drilling regulations, will uncover the cause of the fire. As of last night, the body of one of the missing workers was recovered near the platform. The company continues its efforts to locate the other missing worker. After leaving BP, Hoffman spent 18 months at Stone Energy Inc. of Lafayette, LA, learning the ropes of how a smaller player in the energy industry operates. Sadly, Hoffman has apparently brought some of BP’s management ills along with him as Black Elk Energy, in five short years, has racked up a number of near catastrophes, oil rig incidents and fines, most recently a $300,000 federal penalty paid just last September. BSEE investigated the firm just last August regarding an incident requiring two employees to descend 60 feet into Gulf waters to fix a malfunctioning crane. No injuries were suffered, but during September workers repairing a leak at a platform in the High Island area were forced to install a blowout preventer to control another well. Officials have since ordered that well plugged and abandoned. A fire reported to the U.S. Bureau of Ocean Energy Management, Regulation and Enforcement, a predecessor of BSEE, in February of 2011 was quickly extinguished. The fine the company paid last year resulted from a single site inspection reporting numerous compliance issues. "BP and the government may have settled criminal matters yesterday, but today's incident shows that increasing safety of offshore drilling and for hard-working men and women is still not a settled matter," said Massachusetts congressman Ed Markey, the ranking Democrat on the House National Resources Committee, told Reuters. "This incident raises a number of questions about the nature and adequacy of safety measures on this offshore rig," he added. Black Elk Energy produced the equivalent of 14,000 barrels of oil and natural gas per day during the last fiscal quarter. 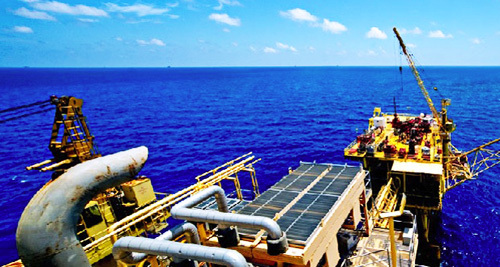 They have recently announced plans for major growth, intending to launch 23 new wells in the Gulf this month. The company lists New York hedge fund Platinum Partners Value Arbitrage Fund as its majority equity owner, who failed to respond to a request from Reuters for comment. Black Elk focuses its growth on acquiring mature oil and gas properties from others, which the Hedge Funds Review reported the firm had invested $600 million on oil and gas wells since 2009. In any case, the firm has added insult to whatever injury it may or may not create in the Gulf environment by naming itself after the famous Oglala Sioux shaman and visionary. A survivor of the Battle of the Little Big Horn as well as the Wounded Knee Massacre, Black Elk saw himself as the “sixth grandfather," a spiritual representative of the earth and of all mankind. The subject of both the novel and play titled Black Elk Speaks must be turning in his grave (so to speak) to have an energy company of questionable environmental integrity using his name. America needs what Black Elk Energy can provide. We just need it to be delivered with an appropriate regard for the environment we all share. To that end, the penalties the government levies for gross transgressions of the rules should reflect the true value of what they are protecting – most people call it the future – and it is priceless.